Today, no window can be considered “high performance” unless it can obtain a U-value less than .35. Aluminum windows offer the highest design strength that can be used in any high-rise application. Most manufacturers offer finishes that are environmentally safe with low or no VOCs and are designed with unlimited finishes that can last for decades. No other window frames can be glazed with the variety of glass options, including security glazing with laminated glass. The problem is that almost all aluminum framed windows fail to ever obtain a U-value of .40 (R 2.5). The very rare U-value of .40 in an aluminum window can only be achieved with the use of high-performance triple pane and a thermally broken frame. The poor thermal performance of aluminum windows usually comes with extreme condensation problems. Condensation brings potential water damage and the potential of mold problems on the frames. In colder upper Midwest climates aluminum frames have even been known to develop ice on the frames. On cold days aluminum windows frames are considerably colder than the walls or even the glass contained in the window. This difference in the temperatures will cause drafts. Drafts make you feel uncomfortable and add more energy costs. 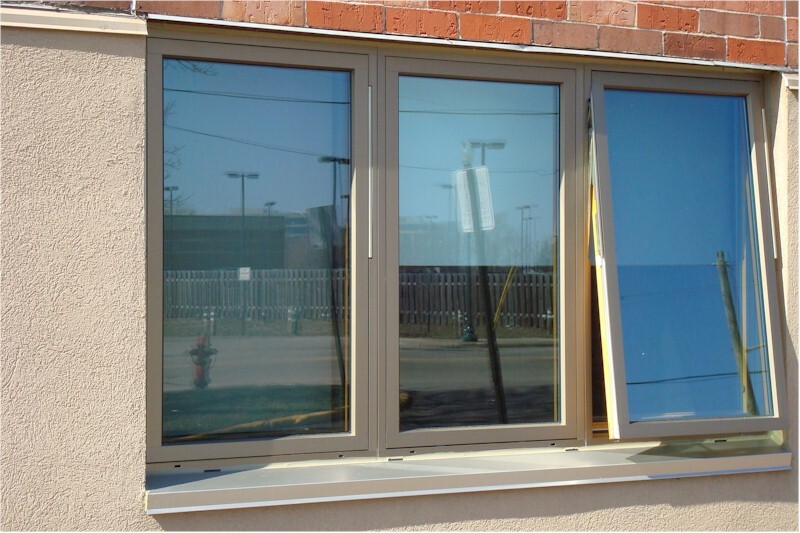 The H Window has the structural integrity to rival and out-perform any aluminum window. At the same time it can obtain U-values as low as .20 (5). The H Window real wood interior performs as a second window. An extruded aluminum exterior and real wood interior with the latest glazing options set the H window apart from all other so-called “high performance” aluminum windows. Did you know that regardless of how well the components of a window functions in providing insulation, its air leakage or air infiltration will negate these insulating features? I recently had a discussion with an architect about how most window companies fail to disclose the air infiltration ratings of their windows. The reason for their failure to disclose is obviously meant to hide an issue that would render their insulation rating worthless. 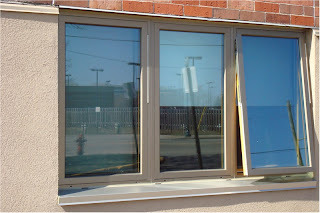 High performance clad casement window: .20 cfm per sq.ft. = 1,200 cubic feet/hr or 28,800 cubic feet/day. Based on this testing, here is an easy example of how this works. If you have a small home or large room sized at 20’x40’x9’with 7200 cubic feet of space, with 5 average-sized (4’x5’), high-quality clad wood casement windows, facing a sustained wind of 25 MPH, you would have to heat or cool the air in the home or room 4 times each 24 hours. Under these same circumstances, the H Window awning would exchange the heated or cooled air every other day. The example above is based on a very high-quality clad wood casement window. Other operating windows, such as sliding or double hung, would most likely leak even more than a casement window.